President Donald Trump held a Cabinet meeting at the White House Wednesday and instructed each of its members to cut at least five percent from their department budgets. "Some [Cabinet secretaries] will say, I can do much more than 5 [percent]," Trump said. "Get rid of the fat, get rid of the waste." "It'll have a huge impact," he continued. The Department of Defense may receive an exemption. 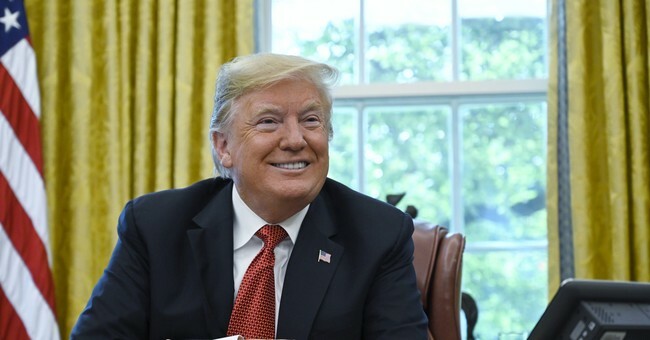 During an interview with Fox Business host Stuart Varney before the meeting, President Trump discussed additional ways to reduce spending and boost government revenue through economic growth. The White House released a tipsheet Wednesday detailing how the administration will continue its work repealing burdensome and economically damaging regulations. "An ever-growing maze of regulations, rules, restrictions has cost our country trillions and trillions of dollars, millions of jobs, countless American factories, and devastated many industries," President Trump said in a statement.